This leash works great for my dog. She’s a young husky mix from a sled dog line, so she loves to run. I’ve run on clean pavement as well as snow-ice covered pavement, and haven’t had any issues with her pulling me off my feet. 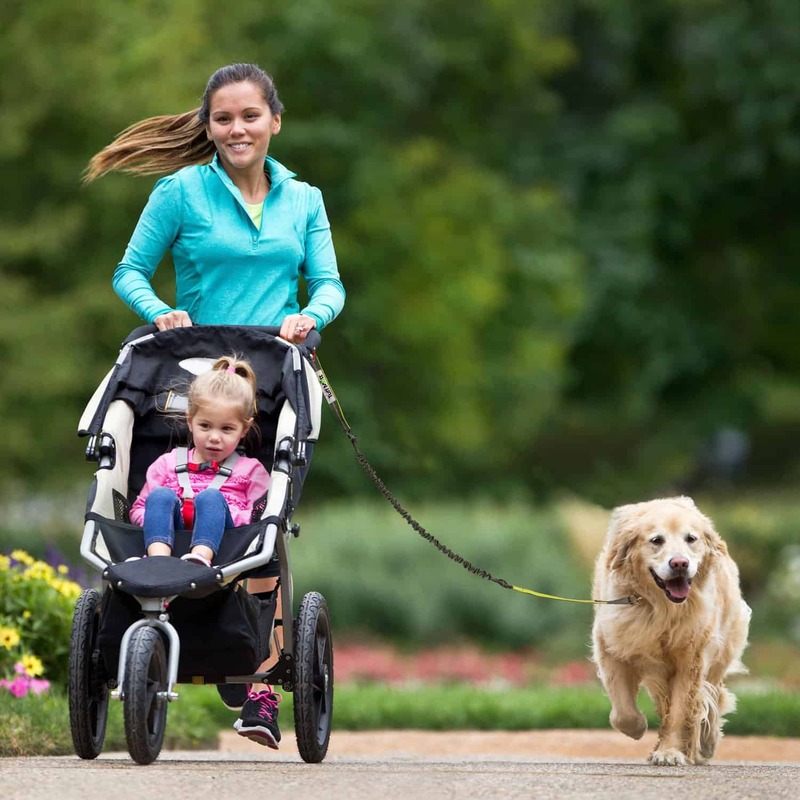 Durable so far, and the two handles are great when we have to pass by people or other dogs. I picked up two of the leashes, and I’m a fan so far! Walking our dogs has been completely changed by this leash. Really looking forward to running with them as well. 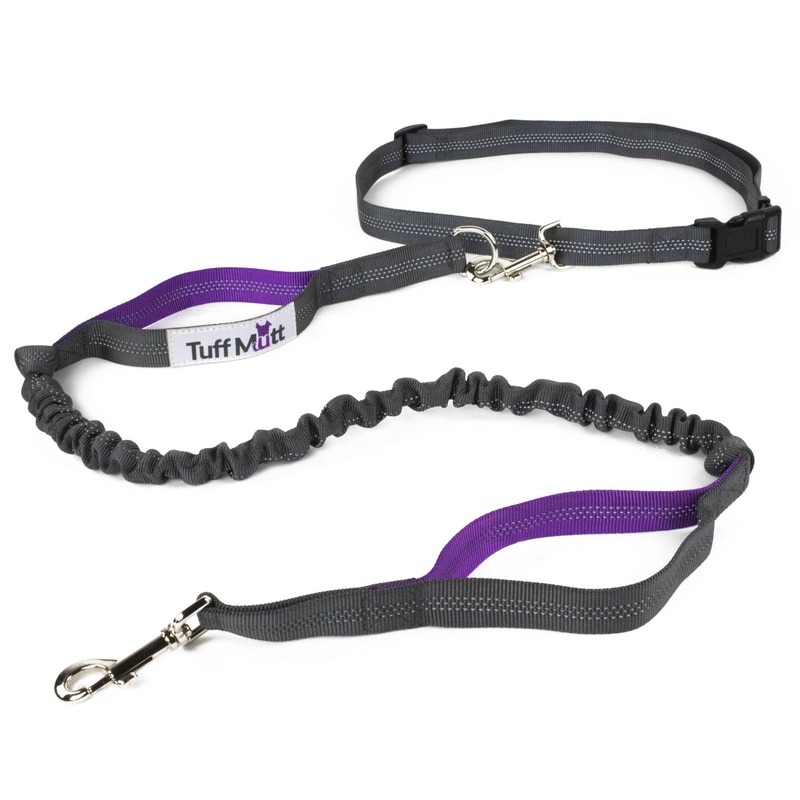 The belt and lead are both secure and it is so much easier to handle our pups using the Tuff Mutt hands free leash. Try it! You’ll like it! I have a 42 lb husky mix and we go hiking several times a week. This leash has made our hikes easier and more enjoyable. 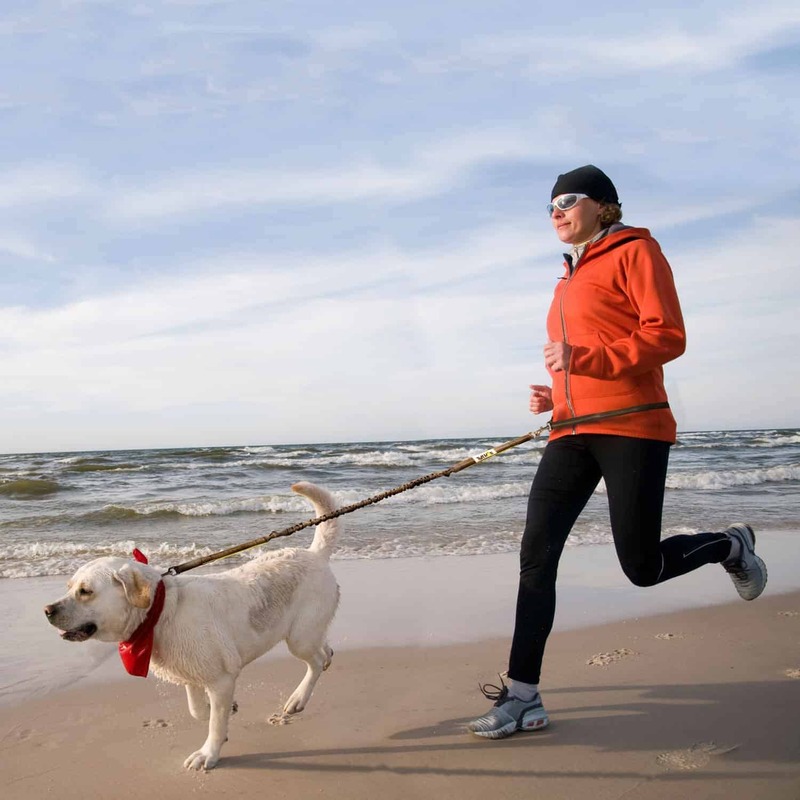 Her pulling on a regular leash used to be a problem but the hands free leash has solved that. 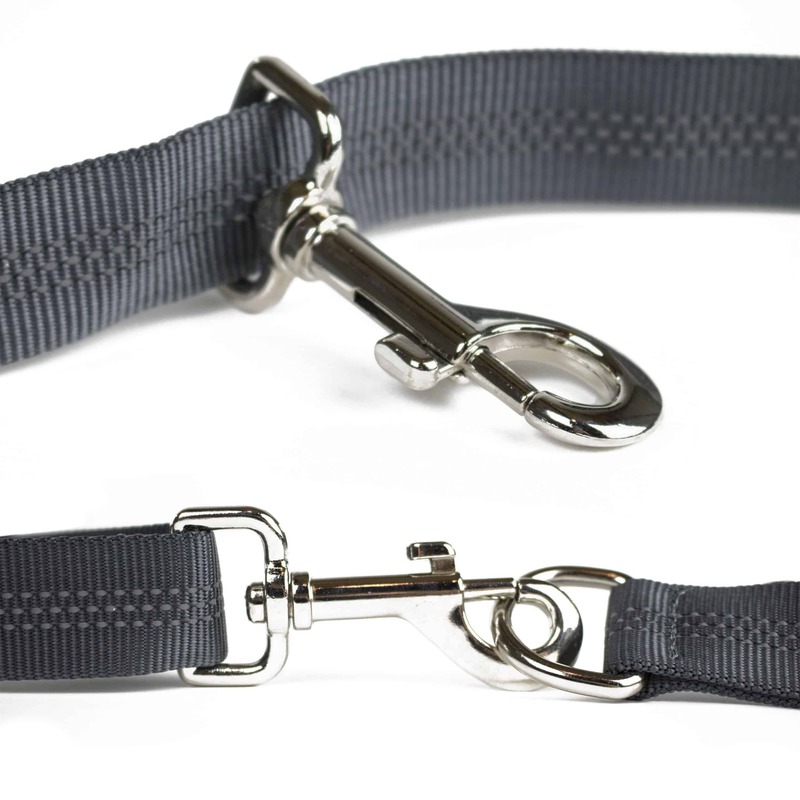 I purchased this leash for walking with my blue heeler (55lbs). I love that it frees up my hands and the handles make it easy to gain some extra control when I need it. 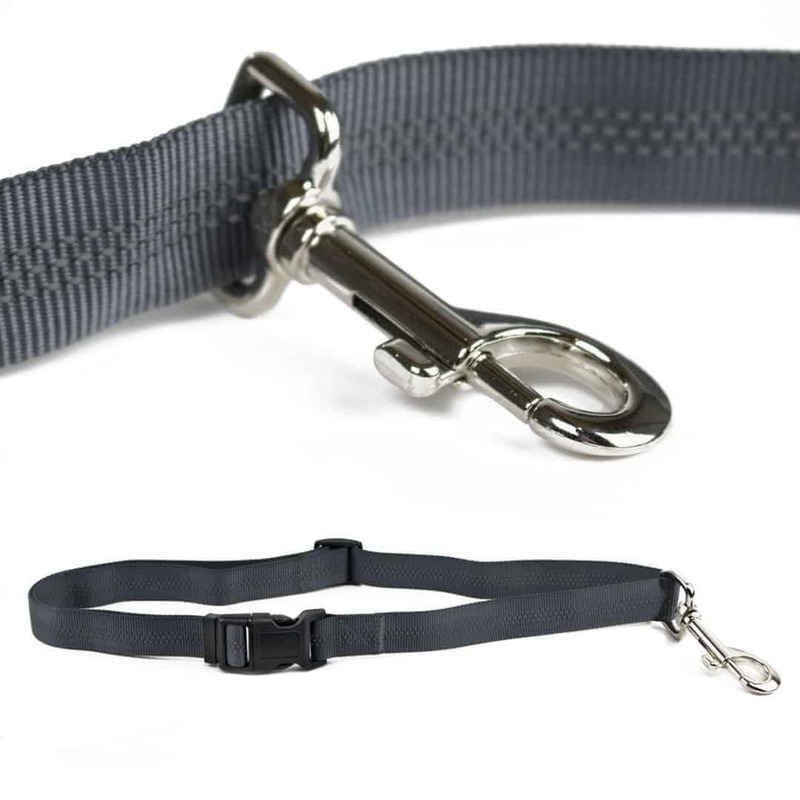 The belt lets the leash move easily around my waist. Great value! 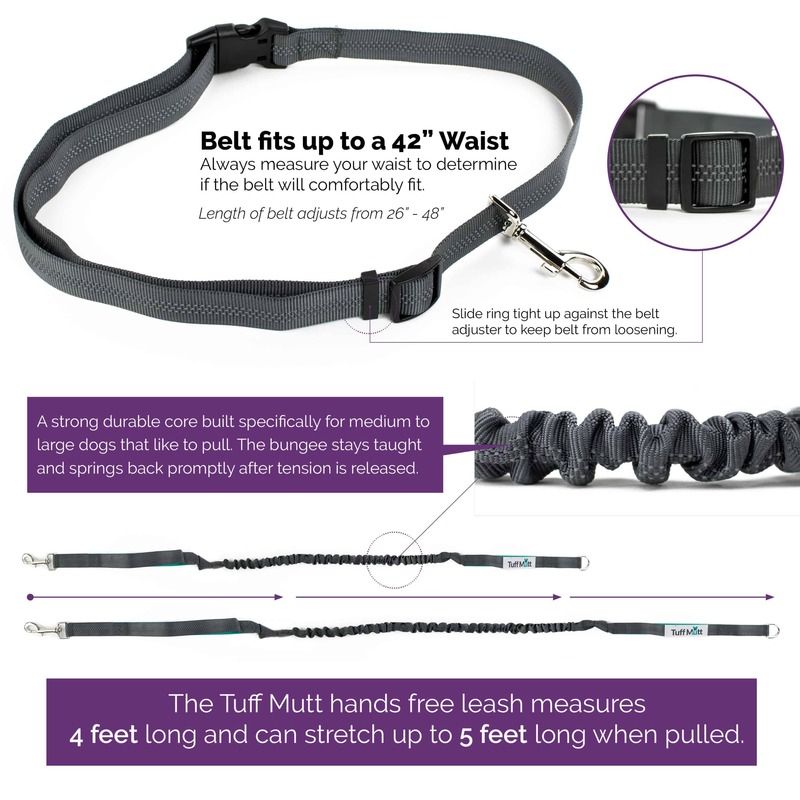 I found this leash when I started training for a 5k with my pup and I absolutely love it. It’s perfect for running and hiking. I was starting to hurt my shoulder holding the leash while running, and this fixed that. 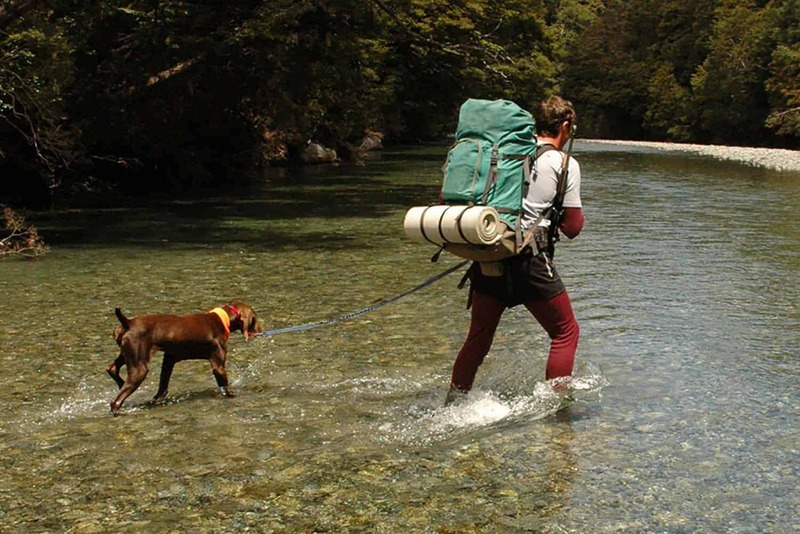 The bungee part has a nice give so if my dog bursts out in front neither of us get yanked. Just this morning I took a bit of a fall after tripping. It was fantastic to not have to worry about holding on to the leash and knowing I could just worry about catching myself. Super fast shipping time and all came in perfect condition. Hands free leash is great! Have two super high energy Australian Shepherds and loving the leash for long walks and intensive hikes. Highly recommended!